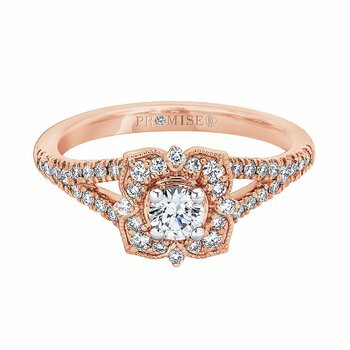 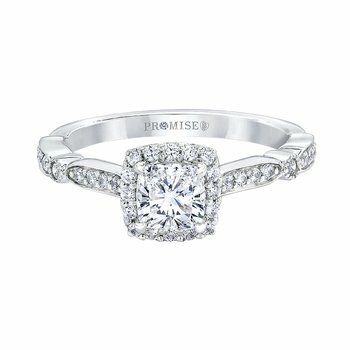 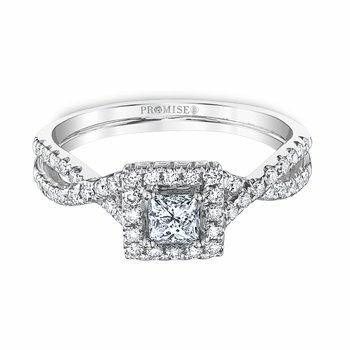 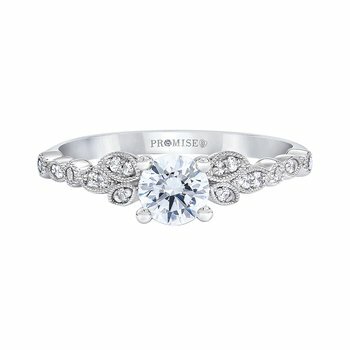 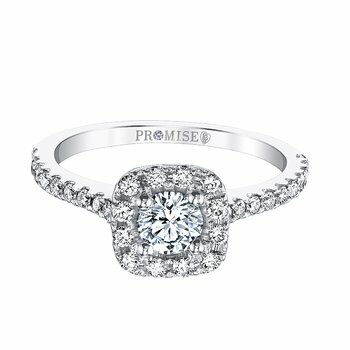 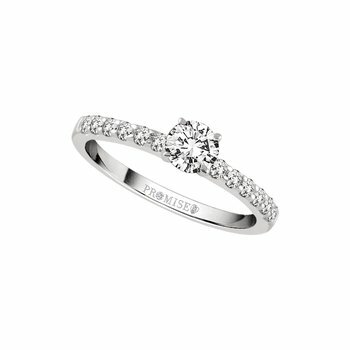 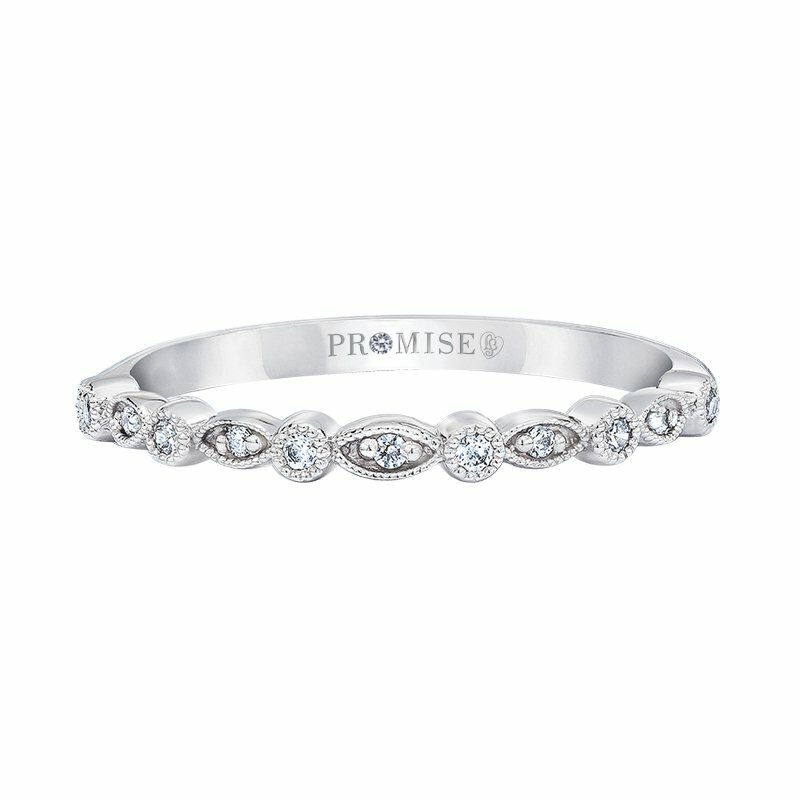 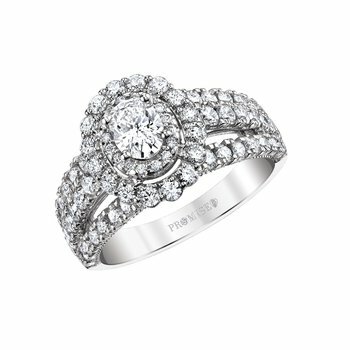 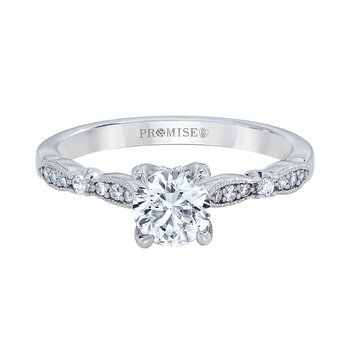 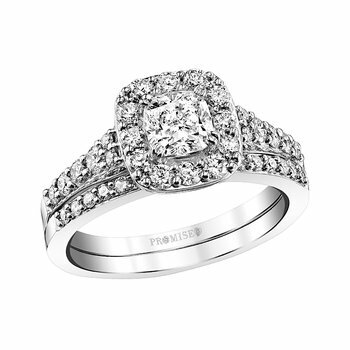 From the Promise Collection by Love StoryÂ®. 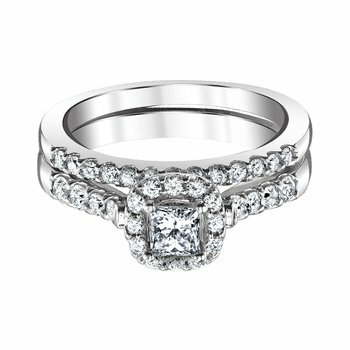 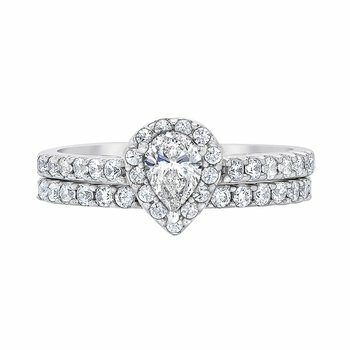 The Charlotte wedding band perfectly compliments its matching engagement ring. 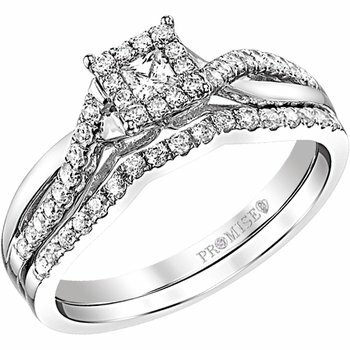 The delicate diamond and white gold features our signature Love StoryÂ® logo and diamond embedded in the shank. 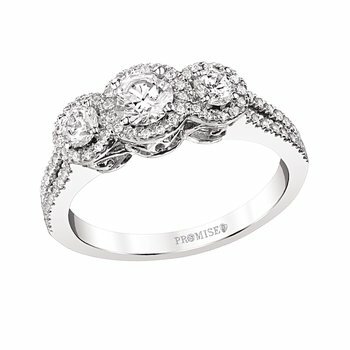 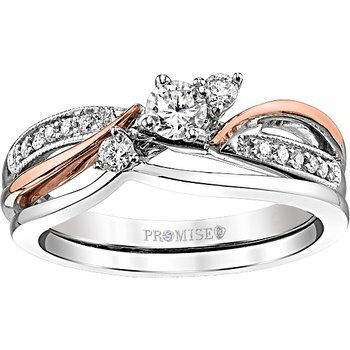 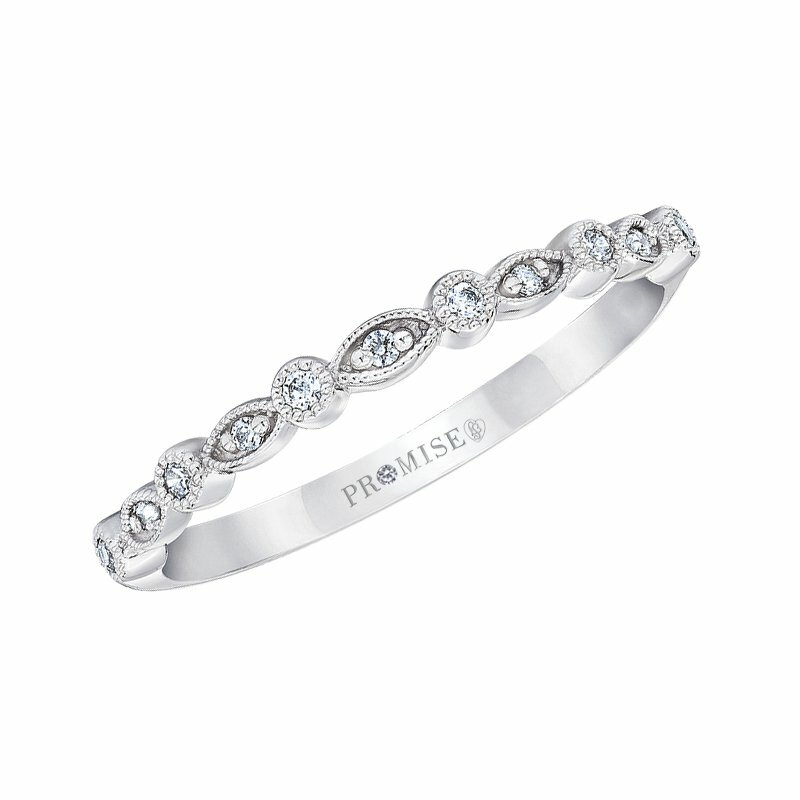 14K WG 1/10ctw Diamond Wedding Band; 11 Rd=0.07ctw (all I/I1min) DWT=1.71 (matching band for 309-14616) From the Promise Collection by Love StoryÂ®. 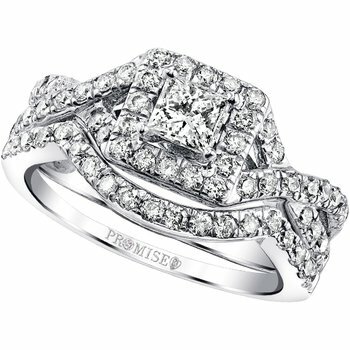 Diamond in shank logo.